A while ago I ordered a bag with studs. 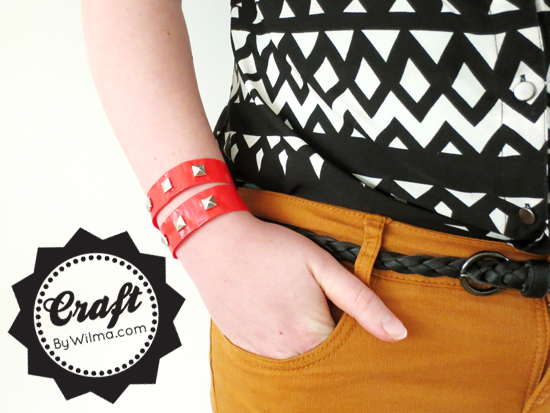 I have lots of super fun ideas for fashion items, but I thought they would be fun for the home too! If you fold the nibs on the back to the inside you could also glue the studs on. Of course you could also buy studs with a flat back for this purpose. 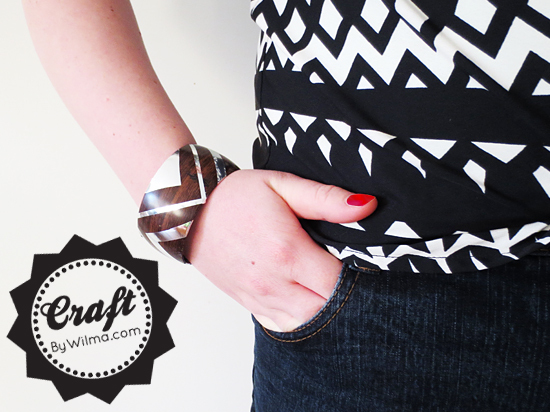 Today I have a fun studded picture frame DIY for you. I hope you like it! 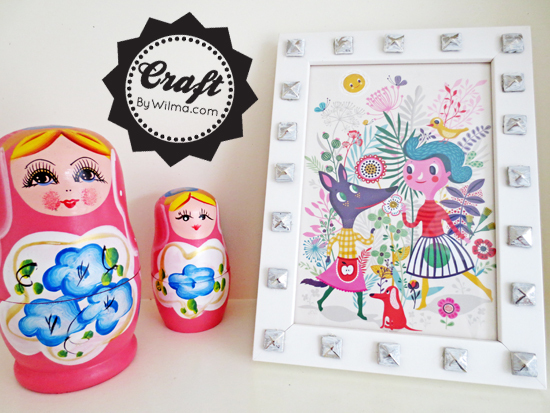 Read on to see how you make this studded picture frame. . . I am currently all of casseroles with rice. They are super easy to make plus you have fewer items to clean. 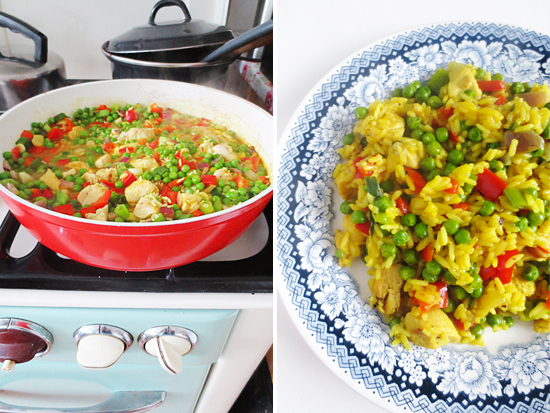 The dish I have for you today is a rice dish with chicken, peas and peppers. The turmeric and chicken bouillon cubes color the rice yellow. A super tasty dish that is definitely worth trying! Read on to see how to make this delicious rice dish with chicken, peas and peppers. . . I thought it would be fun to make a pesto bread. Normally we just put the pesto on our bread, but a little variety can’t hurt right? I used ready made pesto for this recipe. Also, I used chicken, red onion and pine nuts in the filling. Really worth trying! 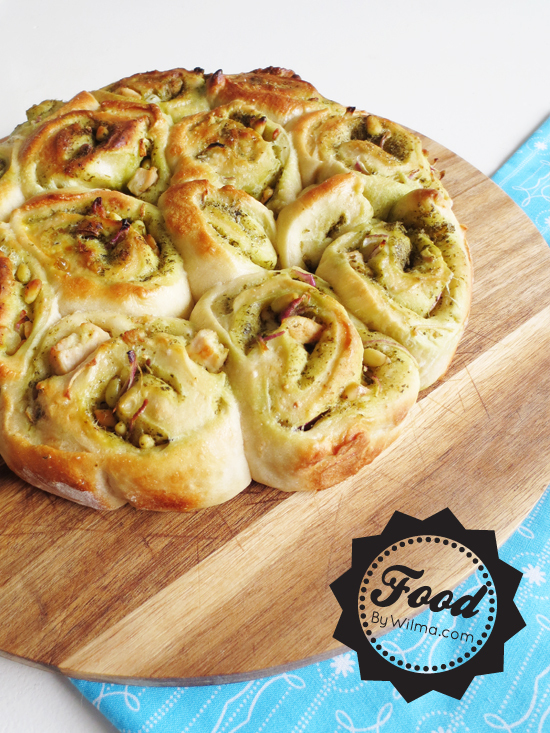 Read on to see how to make this delicious stuffed pesto bread . 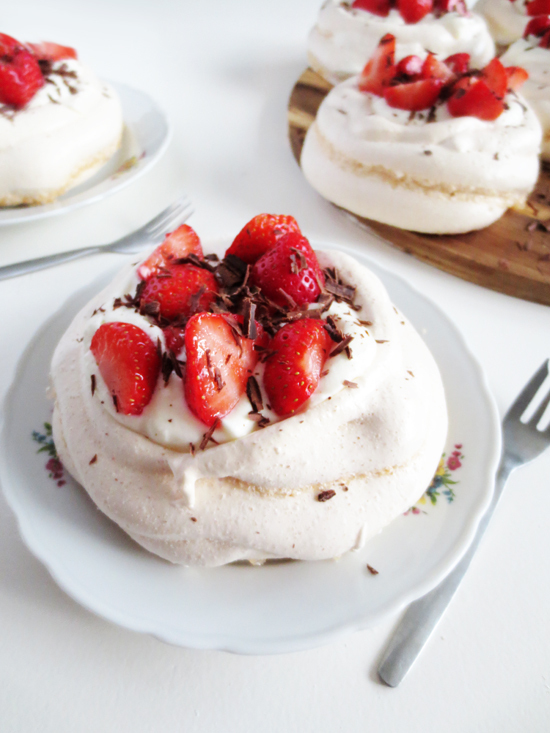 . .
Pavlova seems a difficult dish and is therefore often avoided. But it’s quite easy to make. It’s super fun to do and your guests will be impressed with you when you serve this at your next dinner party. There are two ways to make a pavlova. The first is to make one big pavlova, the other, and that’s my favorite way, is to make mini pavlova’s. This way you do not have to cut the pavlova so everyone gets their own perfect mini pavlova! 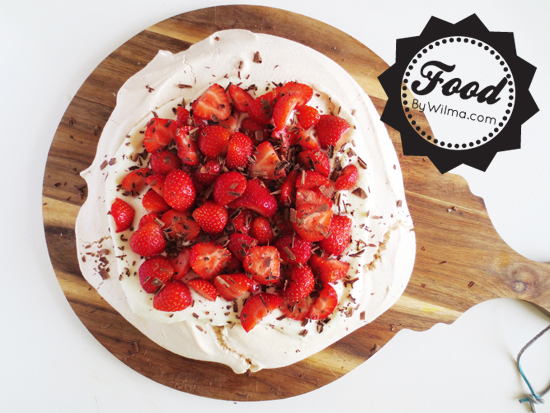 Read on to see how to make this delicious pavlova. . . Spinach and ricotta are a classic combination that is widely used for lasagna. Today I make a quick pasta dish with this combination. And really, this pasta with ricotta and spinach is sooooooo good! It tastes super creamy and the salt of the bacon and sun-dried tomatoes makes it complete. You just have to try it. I guarantee you will not regret it! 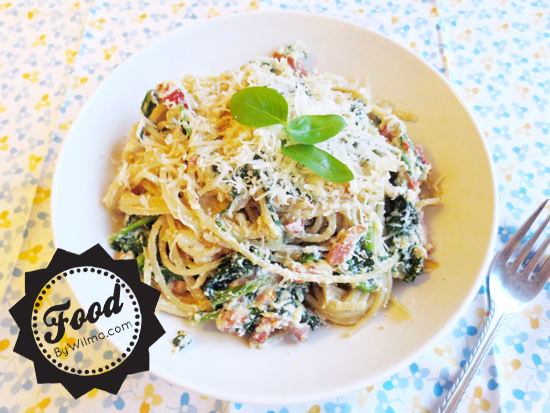 Read on to see how to make this delicious pasta with ricotta and spinach. . .